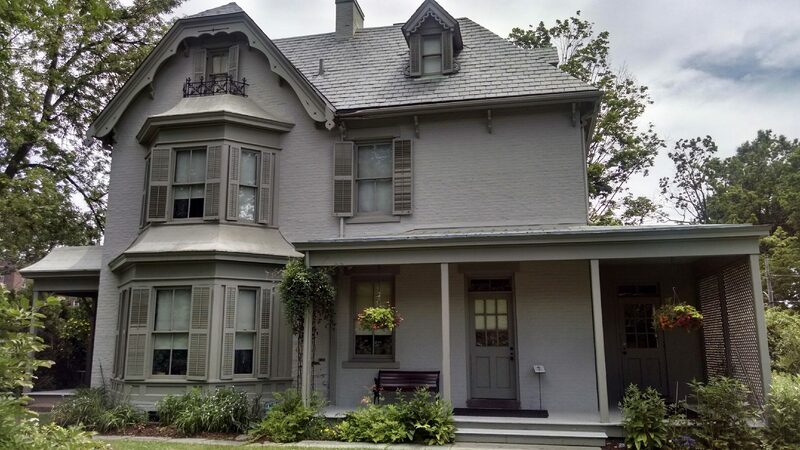 Today we visited the homes of Harriet Beecher Stowe (1811 – 1896) and Mark Twain (1835 -1910) in Hartford, CT. Both homes were right across from each other in a place once known as Nook Creek. Interestingly, although the writers came from very different backgrounds, their work shared a similar world view. The garden-style cottage where Harriet spent the last years of her life and also the place of her death. Although most famous for her landmark novel, Uncle Tom’s Cabin, which brought the horrors of slavery to the masses, Harriet actually penned 30 books over the course of 30 years. In addition to being an ardent abolitionist, she was also an animal rights’ activist and one of her novels, A Dog’s Mission, featured a hero named Charley, the same name of Jen’s dog! Mark Twain (the pen name of Samuel Langhorne Clemens) was known as Sam to his friends. He lived in a grander home that was actually decorated by Louis Comfort Tiffany. He spent some of the happiest times of his life in this house. In fact, after the death of his daughter Susy in Europe, he and his wife Olivia could not bring themselves to return to the same house because of their grief. 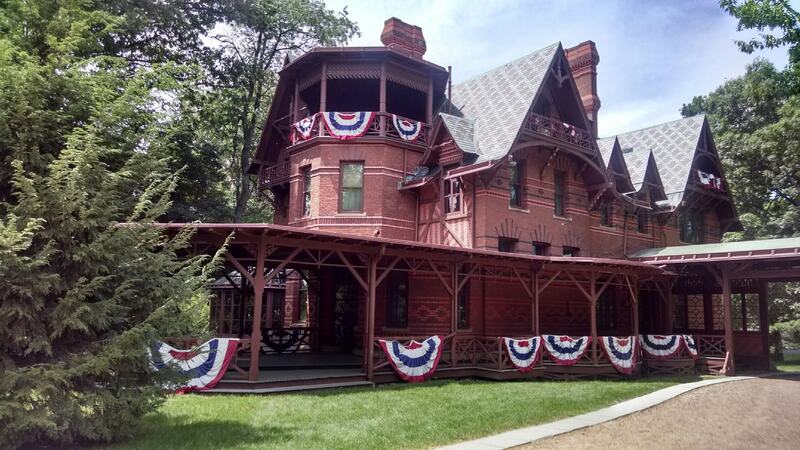 Because of poor investments, the Twain family had to temporarily leave Hartford and vacate this house, instead moving to Europe, where the cost of living was much cheaper back then! 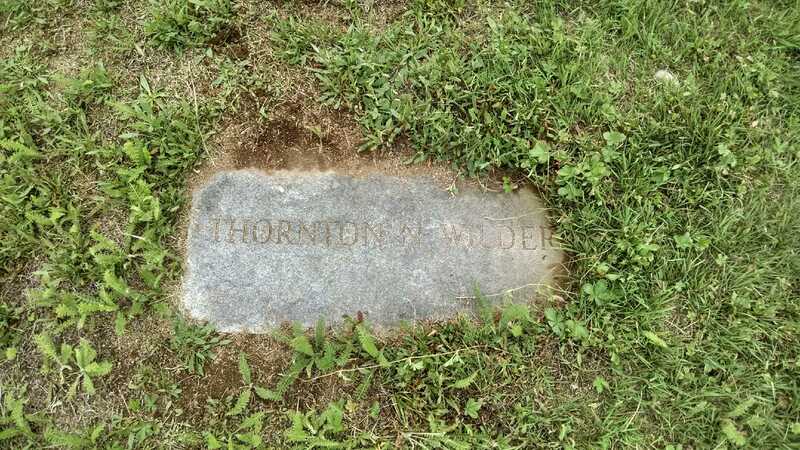 We ended the day on a serendipitous note, finding out that Thornton Wilder (author of the plays “Our Town” and “Skin of Our Teeth” and the novel “The Bridge of San Luis Rey”) actually built a house in Hamden, CT, and is buried with his family in Mt. Carmel Cemetery in the same town. We found this house on the real estate site Zillow and learned that it recently sold! Can you imagine living in the house of a Pulitzer-prize winning author? Wilder is buried next to his beloved sister Isabel. 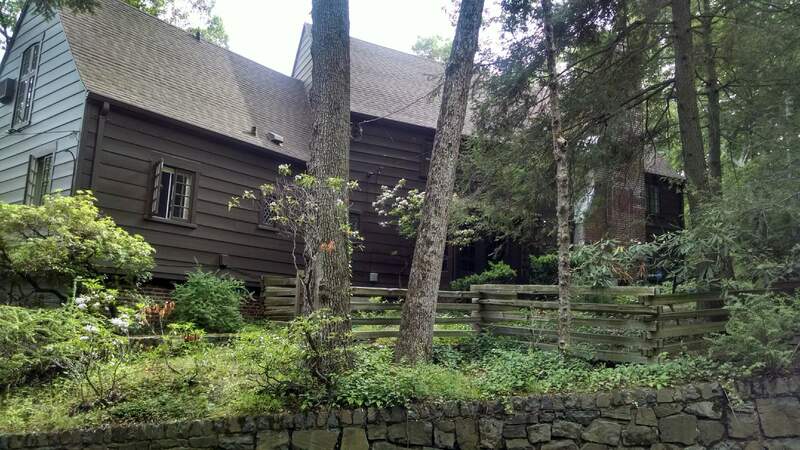 This entry was posted in Uncategorized and tagged connecticut, hamden, harriet beecher stowe, hartford, mark twain, thornton wilder, uncle tom's cabin on June 18, 2015 by Ashley Memory.